The Management team of Williaam Cox are committed to the pursuit of excellence in the areas of Quality, Training and Continuous Improvement in order to maintain customer and employee satisfaction and continued profitability throughout all of our activities. Holds Diploma’s in Civil Engineering and Accountancy. He has 30 years experience in both main contracting and façade delivery with international experience in Africa, Europe and the UK. MBA Graduate, Rory has occupied various roles within the Alucraft Group. As the organisation has grown so has Rory's role being appointed Financial Director of Williaam Cox Ltd in 2012. With responsibility for the Sales and Management of Williaam Cox Darragh has over 10 years’ experience in both the Glazing and Plastics Industry. With a Degree in Materials and Engineering from the University of Limerick, Darragh joined Williaam Cox shortly after it became part of the Alucraft Group and has formed a strong team of experienced and qualified personnel. As Group Financial Controller Graham is a progressive finance professional, having a BSc. (Hons) from Durham University and qualified as a Fellow with ACCA. 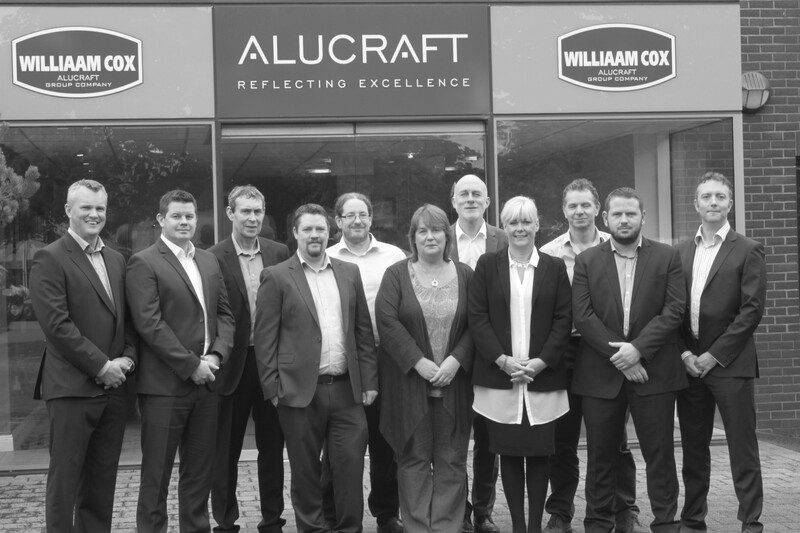 Prior to working with Alucraft Graham gained experience with Williaam Cox, Uniphar and Aer Lingus. Graham has successfully delivered projects in ERP migration, implementation and integration. Darren Burbridge joined Williaam Cox in 1996 and has extensive knowledge of the rooflight market in Ireland. He is involved in all aspects of the sales process, from initial enquiry, negotiation right through to order stage. As Senior Sales Executive in Plastic distribution Eoin has 14 years experience in selling plastics to the construction, print,ship fitting and signage industries. Having worked on projects for Applegreen,Tesco, RTE and the HSE Eoin is committed to providing customers with the expert knowledge and solutions in all areas of their Plastics and Cladding requirements. Brendan joined Williaam Cox in 2007 as part of the Architectural Glazing team. With a background in engineering, design and manufacturing Brendan has become a valuable member of the Williaam Cox team. In 2014 Brendan moved into Distribution Sales where his manufacturing experience and technical knowledge has become invaluable to his customers. Derek joined Williaam Cox in 2006 and has extensive knowledge of the Smoke Ventilation, Rooflight, & Plastics Industries. He is involved in the procurement and logistics of all products and services provided by Williaam Cox Ltd.
Colette has a number of years experience in the glazing industry working with Alucraft. In 2014 Colette joined Williaam Cox and looks after all aspects of the accounts for the company. Pamela joined Williaam Cox during the Summer of 2016 and has extensive experience in Sales Administration. Pamela looks after all order processing across the company from Order entry to final Invoice.